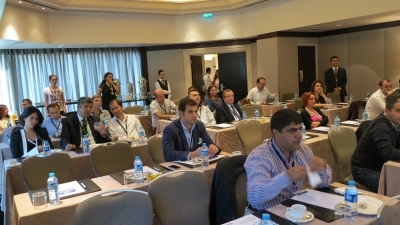 Success Story of a Business Partner, This Time in Turkey! During the seminar, the Harmony Product Manager, Itzhak Abuhasira (Izak), gave an excellent, explanatory presentation about Synel solutions. Izak covered some extremely important topics for selected promotion, starting with the workforce management software of time & attendance, access control, and job costing, including the beneficial features of the WEB interface (e-Harmony); enabling the managing client to access various sections of the Harmony software via the internet or company intranet, allowing them to enter and manage the Harmony tasks and data menus, remotely. During the presentation, Synel also gave the audience a sneak peek of their new Smart Phone Solution for time and attendance systems and the Day Track; their new and advanced Time & Attendance Cloud solution. These two incredibly new solutions are to be launched by Synel very soon. Another interesting point which shouldn’t go unmentioned is that at this presentation, there were many World Leading Synel Solutions for a variety of diverse and successful clients in all different fields, from Retail and Production enterprises, to Industrial and Hi-tech enterprises. 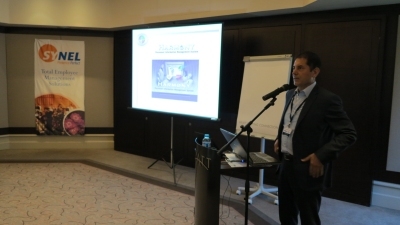 Kamil Erdem, Mikado CEO: “The seminar was an effective tool in showing our customers that Mikado is following new technologies, working closely with Synel, and improving by adding Synel solutions to our current solutions profile. They also had a chance to get to know Synel a little bit better. Not only that, they also acknowledged that we are a dedicated and professional company at succeeding in this ever flourishing business and international market. 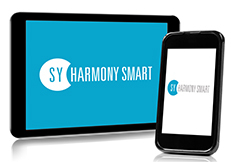 One of our larger clients has already expressed their keen interest in applying the Harmony Solution and has invited us for a meeting with their IT and Administrator departments. 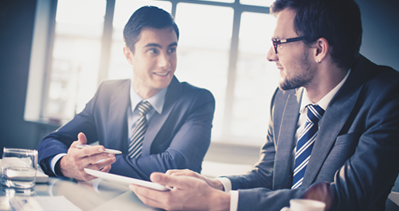 Another big client has already received from us an attractive offer for implementing this advanced solution. Currently, the offer is undergoing management evaluation and in the approval process. The next step is to call, email, and visit all of our clients and customers who have ever taken any interest in the Harmony Solution as their own. According to our customers, the most attractive features of the Harmony solution are the Web Interface, SmartPhone Application, Cloud Solution, and the fact that it offers a full access control solution on one database. In conclusion, this Seminar was a great success in leveraging future business for Synel and Mikado, both.